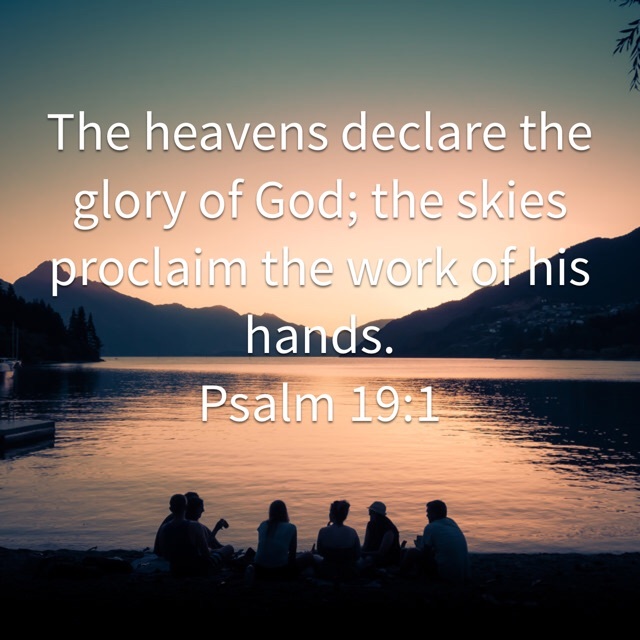 Creation declares His glory. His fingerprints are all over the world. He created everything for us to enjoy. One of my favorite aspects of God’s creation is the sunset. I love all the pinks, red, yellows, and oranges. They are always different. There is never a sunset that is the same. I don’t do it as often as I should, but whenever I notice a beautiful sunset, I like to brag on the Lord. I tell Him how beautiful it is—how thankful I am for the sunset—what a talented artist He is. When I walked over to our den door and looked outside, there was one of the most beautiful sunsets I had ever seen. The bright pink colors were streaming through the clouds. It was absolutely breathtaking. I stood there in awe as tears ran down my cheeks. In the midst of a stressful day, the Lord wanted me to feel His presence. He wanted me to know He was there. He wanted me to see His beautiful sunset. It was as if He had created that sunset just for me! And I almost missed it. I almost missed Him. How real and personal the Lord is! His great love never ceases to amaze me! The God of all creation longs to have a close relationship with us! Today, when you look out at His beautiful creation, He might be trying to get your attention. He might be trying to give you a special gift to remind you how much He loves you.